Known for showcasing the brightest minds in the creative industry, the South By Southwest (SXSW) Interactive Festival (March 13–17) proudly announces 12 diverse and innovative thought leaders to join the 2015 Featured Speaker lineup. From authors to scientists, a chef, videogame creator, statistician and more, these Featured Speakers range in topic and theme, but all represent innovative and often times disruptive concepts that will shape the future. For instance, Robert Kirkman will be speaking at SXSW Gaming and David Chang will speak as a part of SouthBites programming, their food track being expanded for 2015. The thought leaders listed above join ten previous announced Featured Speakers including: Genevieve Bell (Intel), Dr. Patricia Galloway (Hyperloop), Nicole Glaros (TechStars), Bill Gurley (Benchmark), Josh Klein (Hacker), Elliot Kotek (Not Impossible Labs), Jessica Lawrence (NY Tech Meetup), Phil Libin (Evernote), Daniel Pink (danpink.com) and Franz von Holzhausen (Tesla). Additionally, more than 400 sessions selected through the SXSW PanelPicker process will be revealed on Monday, October 20. SXSW Interactive will also announce 2015 Keynotes in the coming months. Stay on top of important dates and deadlines by reviewing their 2015 timeline. SXSW Interactive is also accepting applications for its 2015 Awards competitions including SXSW Accelerator, SXSW Gaming Awards and the re-branded SXSW Interactive Innovation Awards. As a platform to showcase the most innovative and forward-thinking ideas and projects, we encourage digital creatives, agencies, startups and those in the gaming community to submit to one of these competitions. 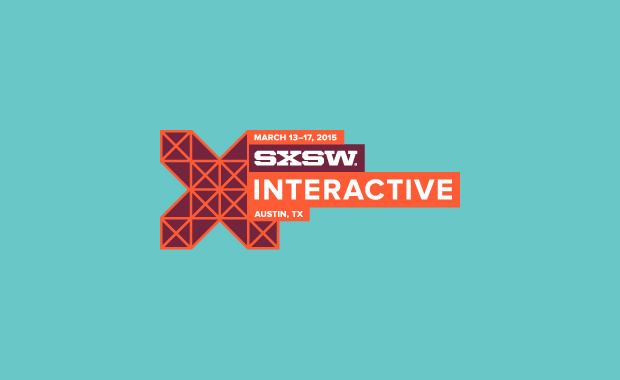 The 22nd annual SXSW Interactive Festival returns to Austin, Texas from Friday, March 13 through Tuesday, March 17, 2015. An incubator of cutting-edge technologies and digital creativity, the 2015 event features five days of compelling presentations and panels from the brightest minds in emerging technology, scores of exciting networking events hosted by industry leaders and an unbeatable lineup of special programs showcasing the best new websites, video games and startup ideas the community has to offer. From hands-on training to big-picture analysis of the future, SXSW Interactive has become the place to preview the technology of tomorrow today. Join us in March 2015 for the sessions, the networking, the special events, the 18th Annual SXSW Interactive Awards, SXSW Accelerator, the SXSW Gaming Expo, the SXSW Trade Show, SXSW Create, The Job Market, cross-industry conversations with attendees from SXSW Film and SXSW Music, and, most of all, the unforgettable inspirational experiences that only SXSW can deliver.